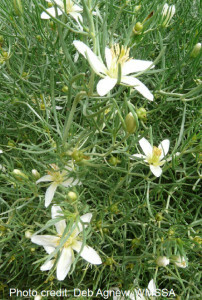 Five formerly declared plants, including onion weed (Asphodelus fistulosus), have been removed from the declaration because legislative backing is no longer needed for regional control activities, while the state policies on twenty-two other declared plants such as salvation jane (Echium plantagineum) have been updated. “An important change is the declaration of buffel grass (Cenchrus ciliaris), an introduced grass that has invaded the semi-arid rangelands and is encroaching southwards,” Mr Hunter said. 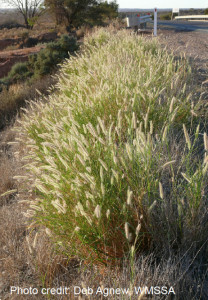 “Buffel grass is known as a transformer weed in rangelands as it can change the character of the vegetation over wide areas. Adelaide and Mount Lofty Ranges NRM Region – ornamental fountain grass • (Pennisetum setaceum), silverleaf nightshade (Solanum elaeagnifolium), swamp oak (Quercus bicolor), arum lily, sweet pittosporum and gazania. Alinytjara Wilurara NRM Region – buffel grass, african rue (Peganum harmala) and carrion flower (Stapelia variegata). Eyre Peninsula NRM Region – carrion flower, lincoln weed (Diplotaxis tenuifolia), silverleaf nightshade, bifora (Bifora testiculata), fountain grass and buffel grass. 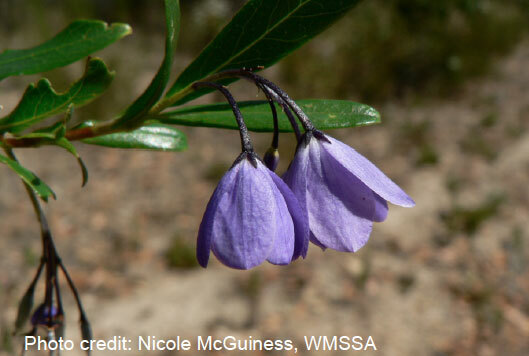 Kangaroo Island NRM Region – bluebell creeper (Billardiera heterophylla), lincoln weed, silverleaf nightshade and italian buckthorn (Rhamnus alaternus). Northern and Yorke NRM Region – nightstock (Matthiola longipetala ssp. bicornis), lincoln weed and buffel grass. 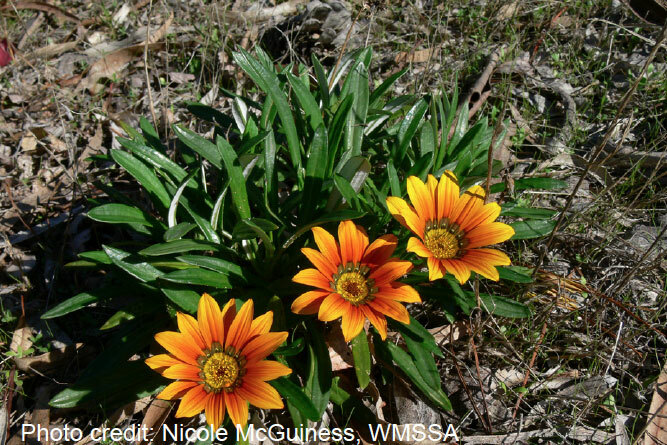 South Australian Arid Lands NRM Region – african ruie, buffel • grass and carrion flower. South Australian Murray Darling Basin NRM Region – gaza• nia, nightstock, silverleaf nightshade, buffel grass and white weeping brooms (Retama raetam). South East NRM Region – apple of sodom (Solanum linnaeanum), lincoln weed, spiny rush (Juncus acutus ssp. 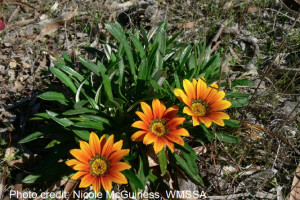 acutus), gazania and white weeping brooms. The full gazette list of declared plants and various summary documents and information resources can be found at: http://www.pir.sa.gov.au/biosecurity/weeds_and_pest_animals/plant_pests_in_south_australia. The new policies on these weeds are available on the PIRSA website at: www.pir.sa.gov.au/biosecuritysa/nrm_biosecurity/weeds/pest_weed_policies. Further information on declared weeds is available from Biosecurity SA on 8303 9620 or at your regional Natural Resources Centre. A Weeders Lament 6th SA Weeds Conference – Register NOW!